School breaks are the perfect time to visit a different attraction a bit farther afield than perhaps a normal weekend jaunt. The Botanical Center at Roger Williams Park in Rhode Island boasts the largest public indoor display gardens in New England, with approximately 12,000 square feet of indoor gardens. Why would you want to go indoors on a spring day? To find hidden fairy gardens, of course! 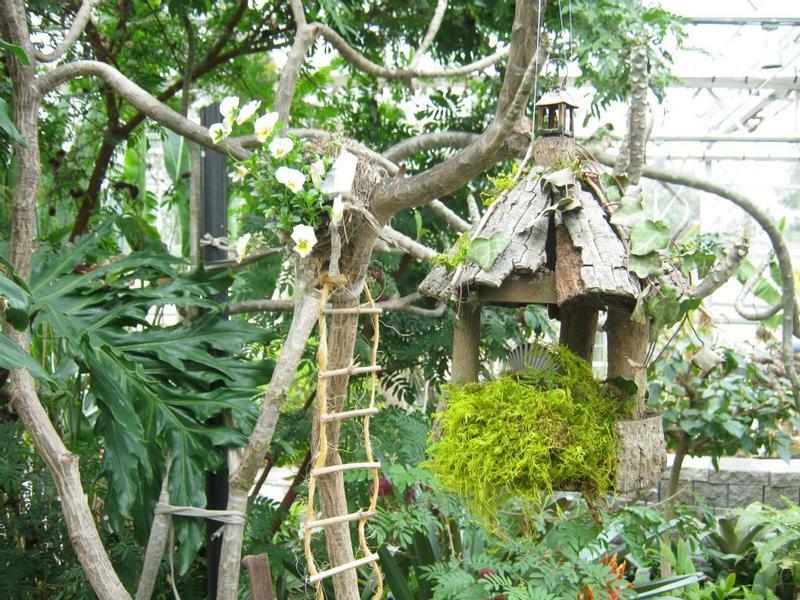 From April 21 through 26, the magical little gardens will be set up all throughout the Botanical Center. In case you’re not familiar with fairy gardens, in general, they’re tiny gardens built from anything from twigs and moss to more elaborate constructions, limited only by the builders’ imagination. The charming houses usually enchant kids, who will no doubt want to race home to build their own. Special activities at the center include making fairy houses, going on scavenger hunts and enjoying story time. Kids are encouraged to come dressed as fairies. On Sunday, April 27, the week-long event culminates with a Fairy Garden Days Festival. On April 22 and 25, there will be a ladybug release, where kids can learn more about beneficial insects while releasing ladybugs into the greenhouse. On Wednesday, April 23, visitors can learn about carnivorous plants and even build a mini-bog to take home. A Venus fly trap will be provided for each bog (pre-registration required). On Thursday, April 24, kids can learn about the birds of the area and how to build a simple bird feeder using recycled materials. Check the website for more details and event times. The center also has outdoor garden displays to check out, including the Perennial Garden, the Pine and Hosta Dell, the Wooded Hillside Garden, the Overlook Terrace and the Rose Maze. And by all means, make sure to leave time to explore more of Roger Williams Park. The 435-acre park is home to the Roger Williams Park Zoo, the Museum of Natural History and Planetarium, the Casino, the Carousel Village and the Temple to Music. During spring break (through April 25), the zoo is holding “Party for the Planet,” from 11 a.m.-3 p.m., with special programs, music, and hands-on activities.